As a business owner, your primary concern will be for the continued safety and prosperity of your business. 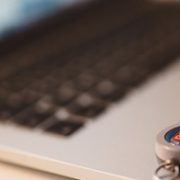 Despite the fact that we live in an increasingly digital age of constant connection, one area of security that often falls flat for businesses is that of Cyber Security. We often rest on our laurels and forget just how connected we all are on a daily basis and how easy a data breech can occur, and snowball into a critical issue. 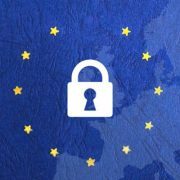 In recent months, the new GDPR (General Data Protection Regulation) guidelines have somewhat brought the issue of online and data security to the forefront of business issues. Today we have decided to talk about the issue of cyber security and how you can best ensure the continued safety of your business. 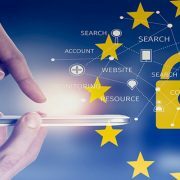 While it may appear impossible to fight against such an enormous beast as the World Wide Web, there are in fact a great many measures that can be taken to ensure the security of your data. In recent months it has become increasingly regular that business payments may be made into incorrect bank accounts due to fraud as email is one area that is often the most easily compromised. As a result, it is imperative to ensure that all employees are aware of the dangers associated with unsolicited or incorrect emails. This is particularly vital in the case of SMEs, for which a breach could be fatal. We would advise ensuring that all employees are trained and aware of the dangers. We have compiled a few tips to assist you in this endeavour. Create company-wide awareness of the data which most needs protection and how/where this data is stored. Ensure that your company has a strong password policy in place and that each worker abides by the password requirements. Changing passwords regularly is also advised. Have a plan in place should a breach occur. Encrypt important confidential information to protect it from unauthorised access. In some cases a privacy screen for monitors may be helpful. Always check the email address from which a suspect email has come from. Often the email itself will seem like a genuine invoice, but the email address may give it away as fraudulent. Use extra caution when dealing with any emails requesting payment. Verify payments and payment details directly with the person who has requested them, it is better to do this outside of the email system. Never open any suspicious emails containing attachments or links. Use a reliable security software solution. Never leave your wireless systems unprotected. Ensure that only the necessary employees have administrative access. Should your business bank details be compromised in any way, notify the bank immediately and also ensure that other companies you have dealt with are notified of the breach in case their own details may have also been compromised. Stay ahead: The internet is an ever changing world, it is vital to stay aware of updated risks. It should never be assumed that a threat has passed and the business is entirely safe. We hope that this will be of assistance in ensuring the continued cyber safety of your business.Should you have any queries or require further information on this or any other business or financial matter please don’t hesitate to contact us here at EcovisDCA’s new head office, where as always we will be delighted to help. DOES YOUR COMPUTER NEED A FLU JAB? The Companies (Statutory Audits) Act What is a PCP loan?